Unreal Tournament from 1999 (Game of the Year – GOTY – Edition) is now 15 years old and still a great multiplayer game, especially at LAN parties. It is free to download so you can share this gem with anyone. If you play it regularly you will want to host a server. This guide for FreeBSD closely follows the Linux guide, but as always FreeBSD needs a couple of adjustments. First of all make a new user with adduser. All default settings, I call mine ut99. You will also need the files as well as the patch from v436 to v451 (to get functioning web admin). Now run asu.sh to set some options. First choose I, answer the prompts, then S for more prompts, then X to exit. Default options are ok; just remember to enter the user you added when prompted for it. Whatever you enter here can be changed later in System/UnrealTournament.ini. If you want to move the server files later, note that ucc.init contains the absolute path two places. These will need to be updated. Even though the server starts we are not done yet. Some of the maps in the Maps directory are zero-length files. These must be copied from the original game download. Most commonly these are DM-Morbias][.unr, DM-Curse][.unr and DM-Deck16][.unr. If you want to make the server available from the internet, the ports to be NATed are 7777-7783 (UDP) as well as the web admin port, most commonly 5580 (TCP). 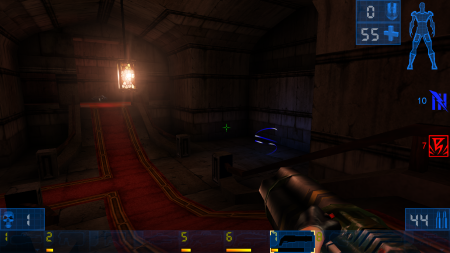 The web admin port can be set in UnrealTournament.ini. Make sure to set the web admin username and password there as well.